Halloween is just around the corner here in New York. As leaves start to wear their fall colors, so do the staircases, windows and restaurant tables across the city. Pumpkins are starting to make their appearance almost everywhere! How to celebrate Halloween the sweet way? Suggestions and ideas from a French party planner living in New York. At the first sight of the very first pumpkin, all the children get excited and start talking about what they are going to be for Halloween. From what I heard, there are undeniably going to be a ton of Elsas this year! It is really a special time of the year here in the US and even though I am not a big fan of the “adult version”, the trick or treat part for kids is pretty amazing. We live in Brooklyn Heights and the whole neighborhood transforms itself in the most unbelievable way. The houses have giant spider webs, bats garlands, pumpkin lamps and ghosts in the trees… You name it, you see it! Entire families wear completely crazy and super creative costumes. You almost have the feeling to be in a theme park! Needless to say, my daughters are already counting the days and thinking about all the candy they are going to collect and all those fun costumes and decor they are going to discover! Last year, they talked about Halloween non-stop until Christmas! As European children they were completely fascinated. 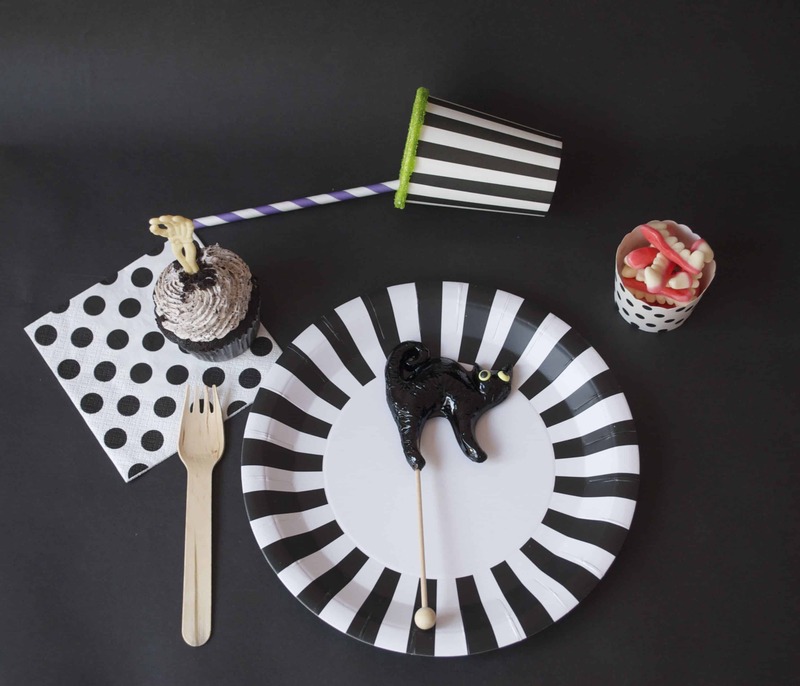 In order for you to get in the mood wherever you are in the world, we asked Anne Ligeart Murat, a mother of two, a party planner in New York and the founder of Clafoutis, an event company and on-line shop, to share with us what she likes about Halloween in New York City and give us some ideas and suggestions for this particular time of the year. What I like about Anne is her incredible good taste, calm and kindness. As you will see, she managed to make Halloween look Oh so chic in the sweetest way possible. Working with her is always such a pleasure. I love her super cute on-line shop. It is full of one of a kind party supplies that have been approved by her own daughters and her demanding clientele. So there is no wrong choice here! I am a huge fan of her DIY projects which enable you to do something fun and pretty with your children. Now I still enjoy Halloween from a child’s perspective as I celebrate with my own daughters who are seven and three years old. They don’t really enjoy scary things – which is great, me neither! 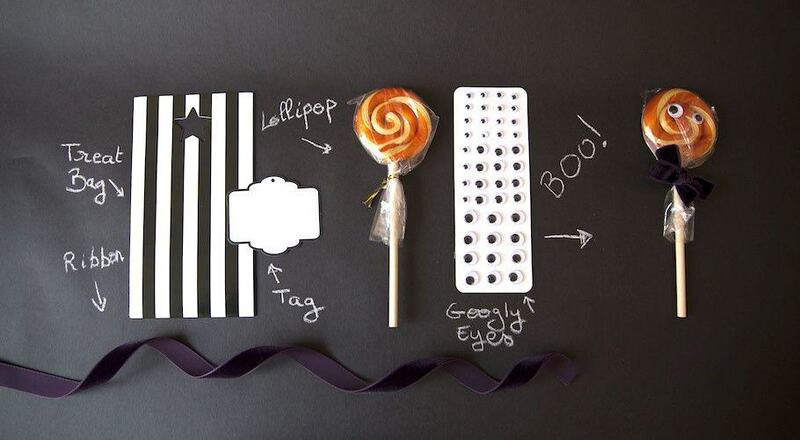 So, our Halloween is sweet, chic and filled with nice tricks! This is the direction that I have taken with Clafoutis Halloween selection this year. You will still find skeletons, witches and little goblins but nothing too terrifying! As a party planner in NY, my clientele has very discerning taste, so I am constantly searching for high quality, one of a kind products that will add a little “je ne sais quoi” to the party. As soon as school begins in September my daughters start talking about their costumes and what they would like to be for Halloween. I listen carefully but I do not rush to buy anything because I know they will change their minds a few times before the big day. I tell them to try and keep it a secret so as not to spoil the surprise but usually one of them has let the (black) cat out of the bag before too long! I believe that pretend play is a very important part of a child’s development and at Clafoutis our Dress Up Trunk is open year round. I always search for beautiful and stylish costumes made of gorgeous fabric. 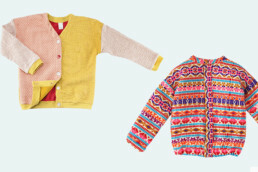 We also carry fabulous accessories to complete an outfit that children may already own or for children who don’t really like to get dressed-up but need a little something. I also try to get things that can be re-used. This year we have the most fashionable superhero gear and I particularly like our Superhero t-shirts that can be worn with or without the cape. My family and I love living on the East Coast and we especially enjoy the Fall season here. In early October we visit orchards for apple picking and the pumpkin patch to choose our pumpkins. This puts us in a perfect Halloween mood. We try to enjoy as many festivities as we can around New York City – my daughters particularly love going to the Central Park Zoo or the Bronx Zoo for their annual ‘BOO at the Zoo’ events. To prepare for Halloween I love to browse websites. I always collect ideas for my clients through my Pinterest inspiration boards. We have a fun Halloween board that you can follow, too! 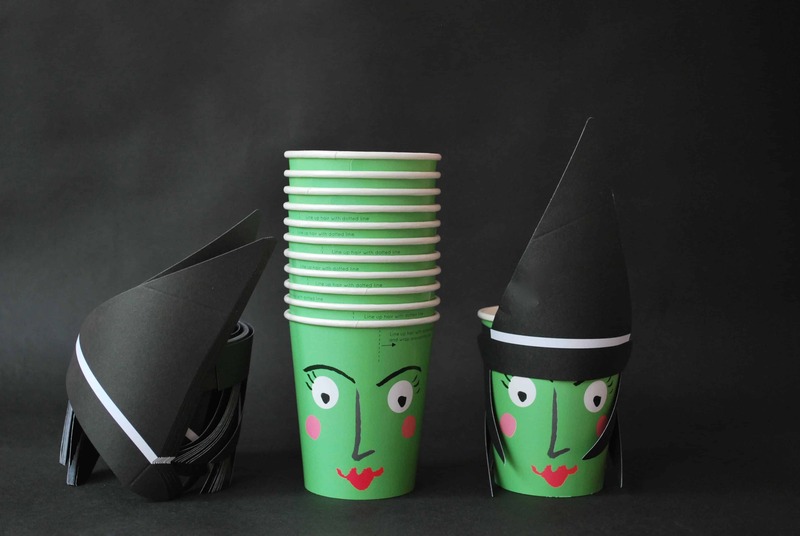 I especially love to look at Fortnum & Mason’s ‘Hallowe’en Tricks and Treats’. Their packaging is always so wonderful. One of our daughters’ favorite activities is baking. With all this inspiration we think about some fun Halloween recipes to keep us busy whilst we wait for October 31st. They also start thinking about the treat bags we will make to give to school friends, teachers, our neighbors and our doormen – they love to Boo everybody they know! This year we are going to dress-up some old-fashioned lollipops with googly eyes and velvet bow-ties. It is a kit that I created for Clafoutis and my girls loved it when they saw me preparing them. We also organize some little Halloween events at home. I invite the girls’ friends for special play dates and – what I call – Halloween goûter. We play some games, bake something fun and lay a pretty table. We are so excited to share one of our goûters and all the spooky supplies can be found on our web site. On Halloween both of our girls have parties at school in their classrooms. Their teachers stage a little runway for them to walk on and they parade their costumes for their cheering classmates. They love it and I wish I could be a fly on the wall and see all the fun. After school our tradition is to go to our neighborhood block party – at 92nd Street between Madison and Park Avenues – organized by The Carnegie Hill Neighbors. The block is closed to traffic and the owners of the beautiful townhouses dress their homes up for the occasion and open their haunted houses for children to trick-or-treat. There are street performers, music, face painting and a competition for best costume. It’s hard to tear the children away but we slowly make our way home to our building – knocking on a few last doors on the way – before my two little witches fall in to bed! Known for its playing rags "Tapikis", Deuz launches a special edition of Minimaracas. 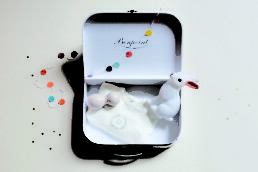 A sweet way to add a nice melody to Bonpoint's latest birth kit "La nuit Douce". April Showers - One of the most interesting brands of the moment. Available at Sweet William. The shoes are gorgeous! The new Bonton store in Paris is really worth a visit. If you are too far, visit their website which provides pleasure for the eyes.